Nov. 9, 2017, 9:45 a.m.
A flurry of emails from kids (and a Change.org petition) helped convince the Times brass to bring once-experimental section back on a more permanent basis. By Ricardo Bilton @rbilton Nov. 9, 2017, 9:45 a.m.
Roper, who returned to the deluge of responses after coming back from maternity leave, said that the Times got the message, and quickly decided to give its young readers what they wanted: The newspaper said Thursday that it plans to bring back the kids’ section as a permanent part of its Sunday edition, with a monthly insert starting November 19, through the end of 2018. The new section will differ in some significant ways from the initial project, which had a heavy emphasis on how-to stories (how to make slime, how to design a super hero, etc.) With the follow-ups, however, Roper said that the Times wanted to publish something that better reflected both the newspaper’s sections and its desire to inform young readers about current events rather than just entertain them. To that end, the November edition of the section will include stories about how schools respond to natural disasters, the science of gene editing, and explainers about the voting process and gerrymandering. The section will also include a kids-focused advice column designed to help kids navigate awkward social situations. (Harper, a 14-year-old from Colorado, will provide advice from a kid’s perspective.) Joel Fagliano, a Times digital puzzle editor, created three mini puzzles for the upcoming issue as well. With the news stories, Roper said that the Times wanted to “think about news stories from the point of view of a kid” while not dumbing down the coverage. Its natural disaster coverage, for example, will talk about what happens when schools get flooded and children have to miss school. To make sure that every story is relevant to readers, the Times will travel to a different public school around the country each month to get a sense of how kids think and what they’re worried about. For the November edition, Roper travelled to Charlottesville, Virginia. “The last thing we want to do is talk down to them,” she said. The Times isn’t alone in its embrace of content produced for kids. 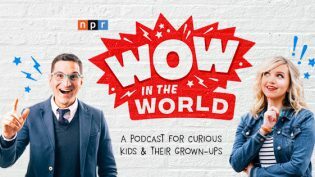 NPR’s “Wow in the World,” which launched in May, gets 200,000 to 300,000 downloads per week, and is joined by Eleanor Amplified, But Why, Tumble Science, and Pinna, a new paid offering from Panoply. The efforts are all driven by a desire to give parents educational alternatives to kids’ spiking screen time. The Times, too, is testing the waters on a kids’ podcast, with a special episode of the Daily that children can listen to with their parents, to be released later this month. POSTED Nov. 9, 2017, 9:45 a.m.
Bilton, Ricardo. 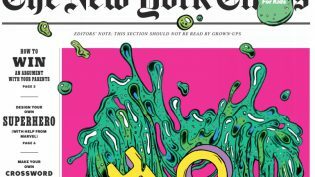 "A regular New York Times kids’ section and a kids’ version of The Daily are on the way this month." Nieman Journalism Lab. Nieman Foundation for Journalism at Harvard, 9 Nov. 2017. Web. 18 Apr. 2019. Bilton, Ricardo. "A regular New York Times kids’ section and a kids’ version of The Daily are on the way this month." Nieman Journalism Lab. Last modified November 9, 2017. 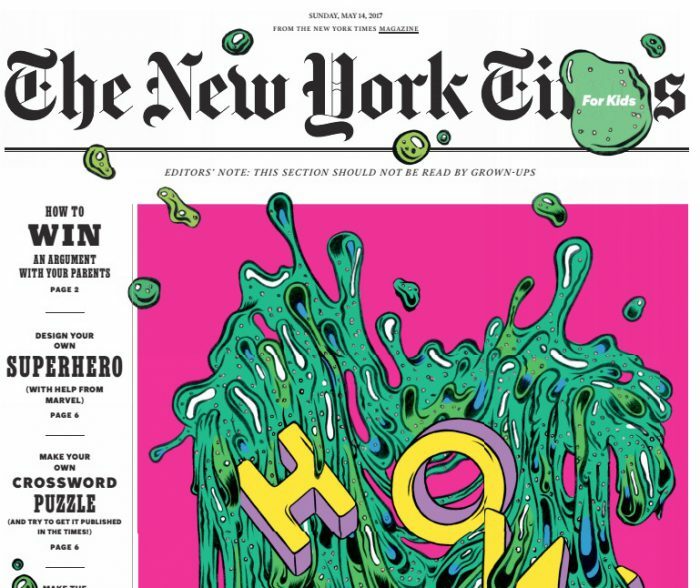 Accessed April 18, 2019. https://www.niemanlab.org/2017/11/a-new-york-times-kids-section-once-an-experiment-will-run-monthly-starting-this-month/.